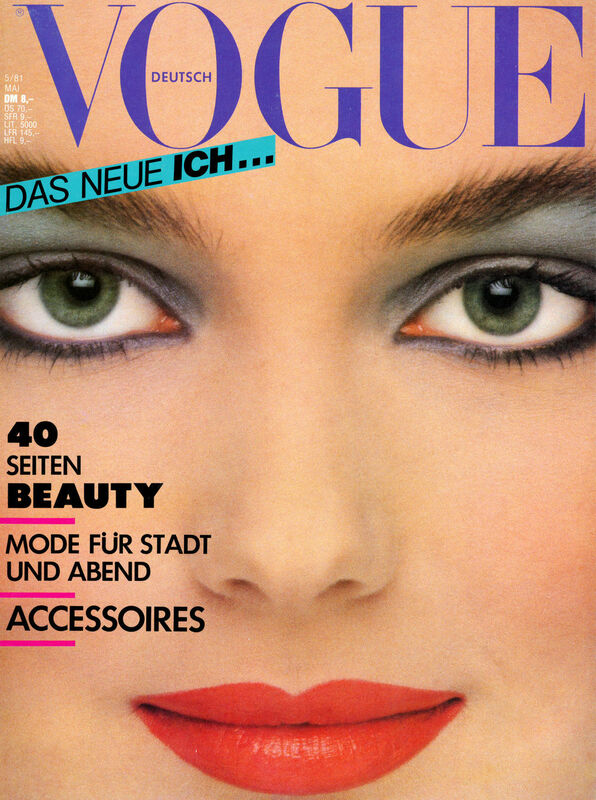 Photographed by John Swannell for Vogue Deutsch May 1981. 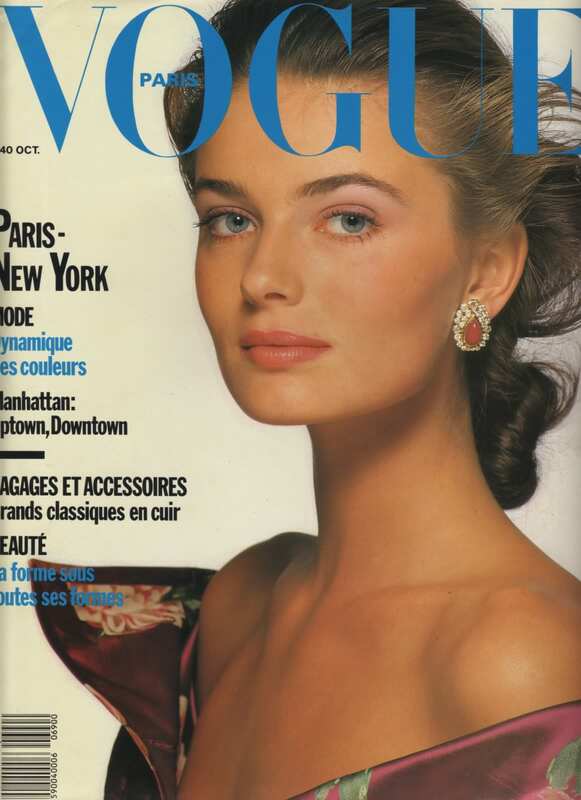 Vogue Paris October 1985, by Bill King. 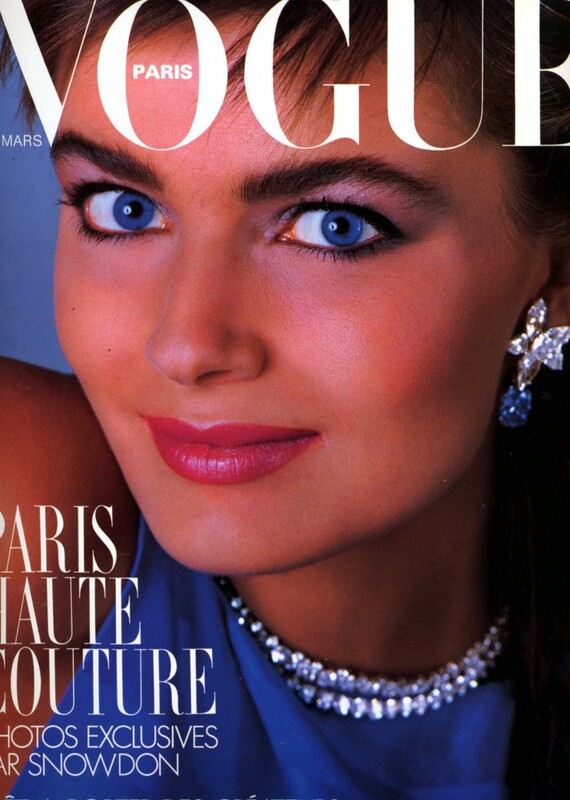 Photographed by Bill King for Vogue Paris March 1986. 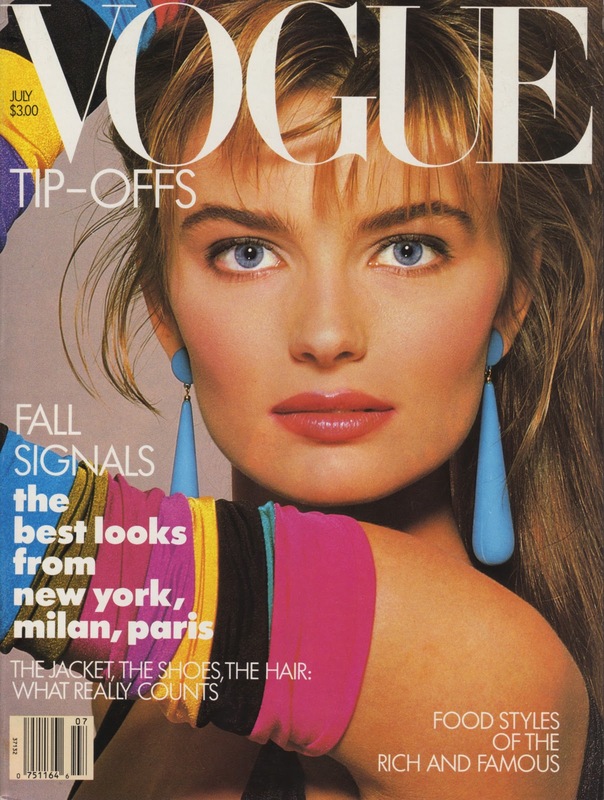 Vogue US May 1986, by Richard Avedon. 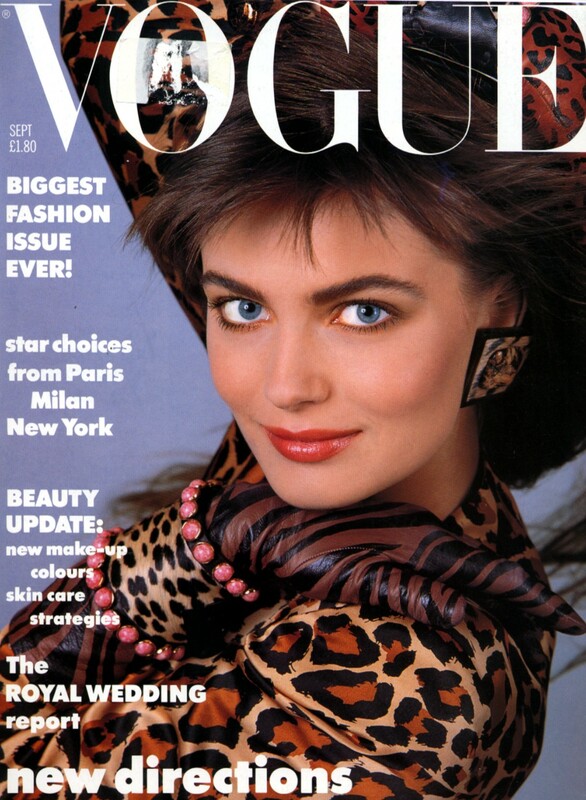 Vogue US and Vogue UK September 1986. Vogue US December 1986, by Richard Avedon. Vogue UK March 1987, by Patrick Demarchelier. 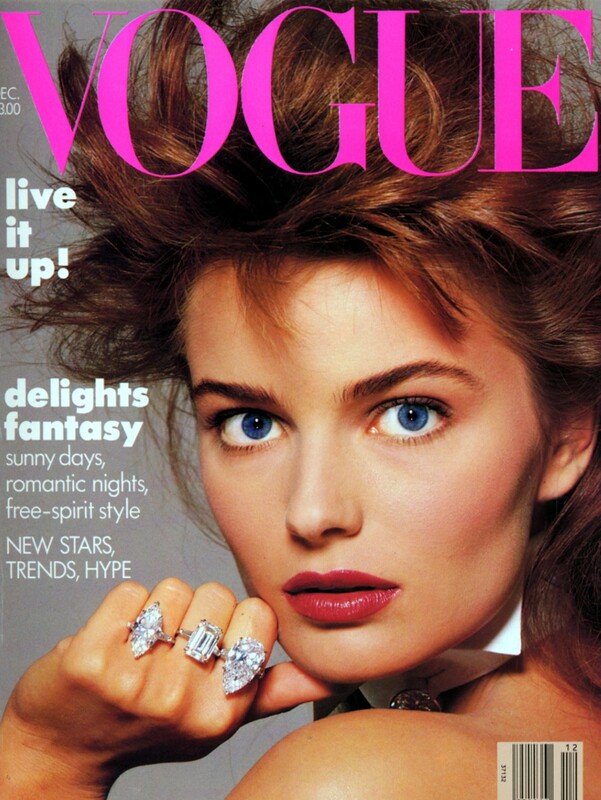 Vogue US April and July 1987, by Richard Avedon. Photographed by Eric Boman for Vogue Deutsch August 1987. Vogue UK September 1987, by Patrick Demarchelier. 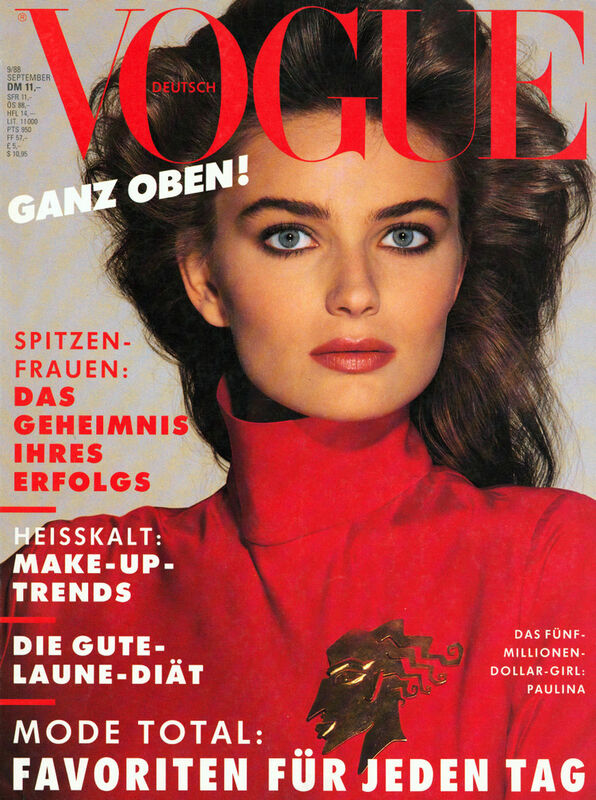 Vogue UK and Vogue Deutsch September 1988. Vogue Paris October 1998, by Patrick Demarchelier. 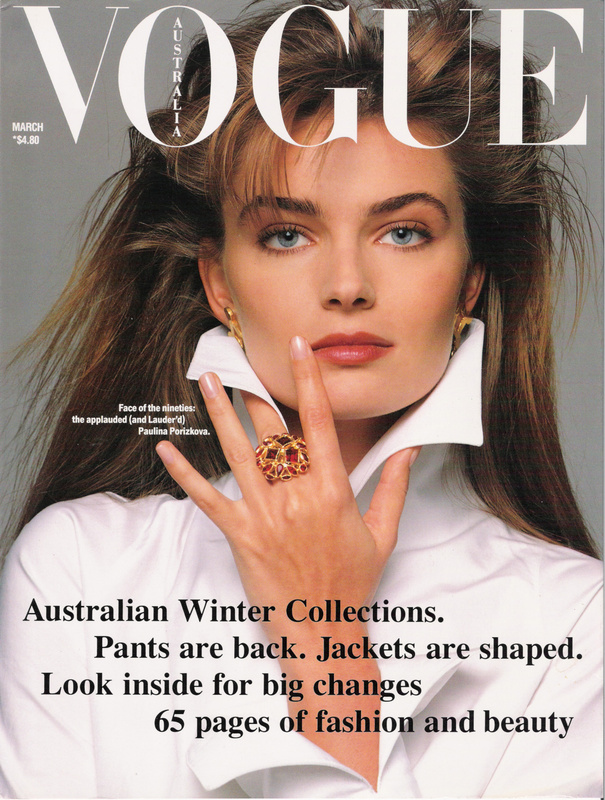 Vogue Australia March 1989, by Monty Coles. Vogue US December 1989, by Patrick Demarchelier. Vogue US November 1999, by Annie Leibovitz. Vogue Korea December 1999 and Vogue Mexico January 2000.